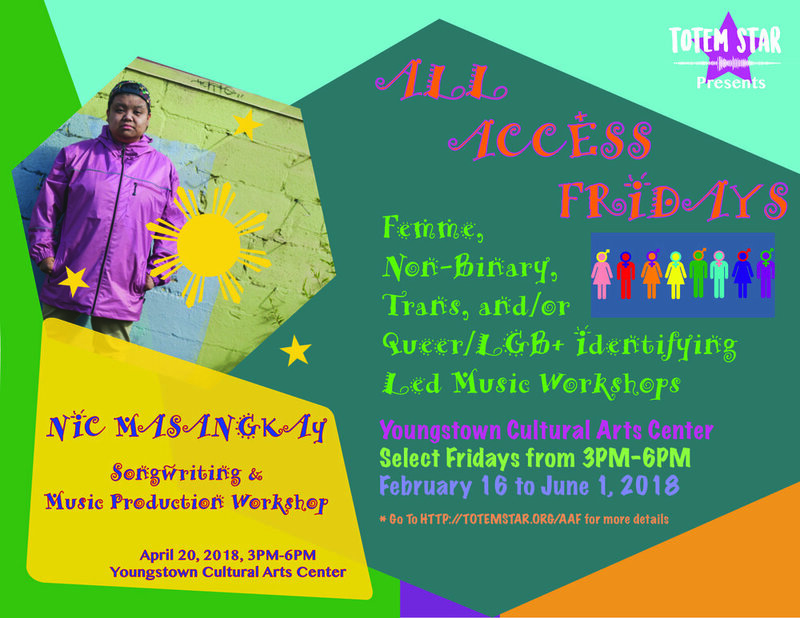 The diversity of Totem Star youth artists includes 40% people who identify as women, as well as many youth artists who identify as women, femme, queer/LGB+, trans, non-binary, gender fluid, and more. We wanted to make sure that they were connected to positive reflective role models and mentors in the form of teaching artists. 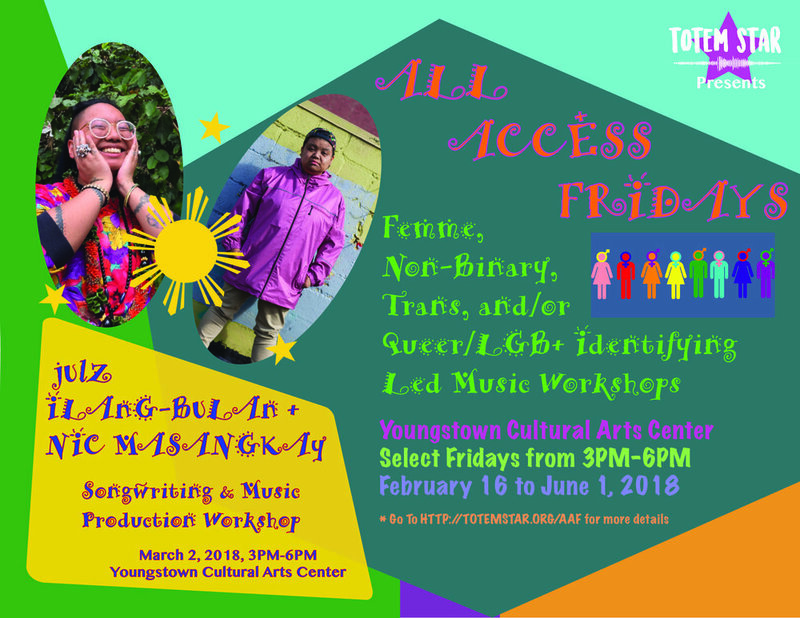 We are proud to present All Access Fridays, which are women, femme, non-binary, trans, and/or queer/LGB+ led workshops. All Access Fridays is currently on hiatus and will return in Spring 2019. We want to make this program the best it can be and we are taking this Winter quarter to work out the kinks. Stay tuned for the Spring 2019 schedule!